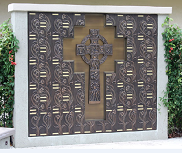 An architectural industry client approached Meloon Foundries to green sand cast 250 bronze columbarium face plates. The plates which required artistic detail as well as weather-resistant characteristics were green sand casted using floor molding.Each of the C89833 bronze weather resistant face plates measured 15″ long, 15″ wide, and .25″ thick and were visually inspected and straightened. Standard tolerances of +/- .030” were held. 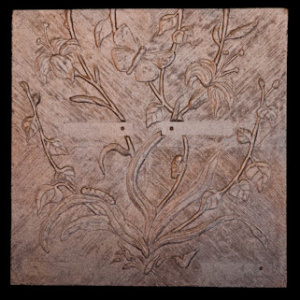 Product Description This bronze Columbarium face plate is used to construct a columbarium. Overall Part Dimensions Length: 15"